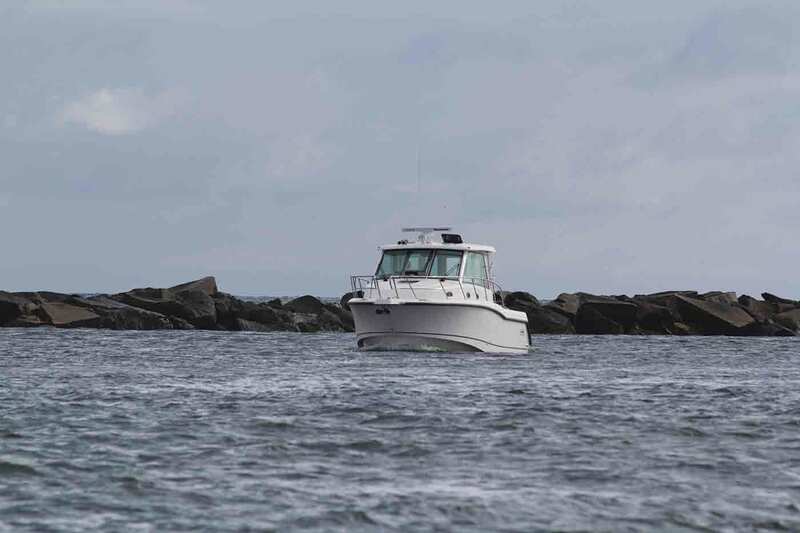 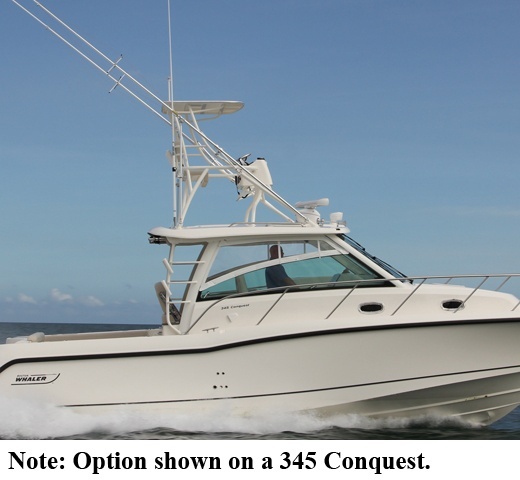 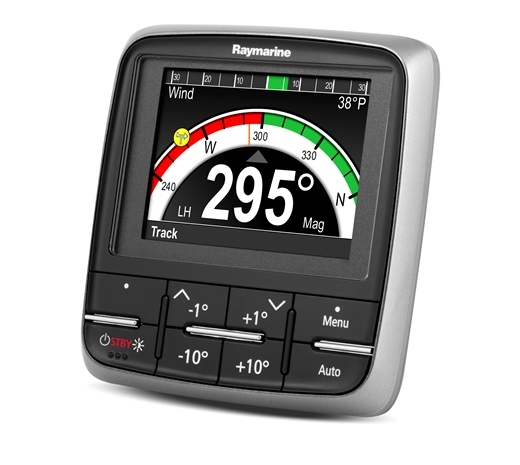 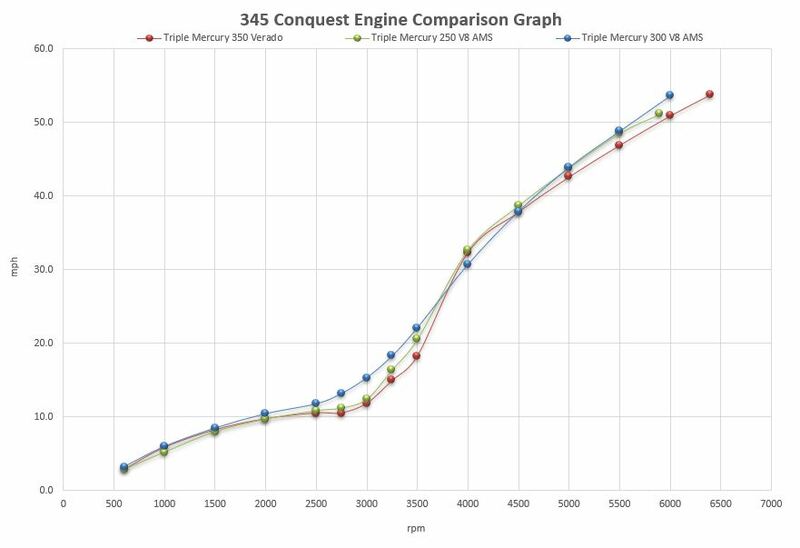 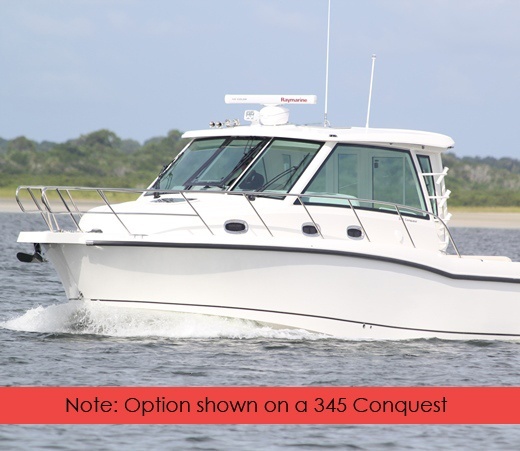 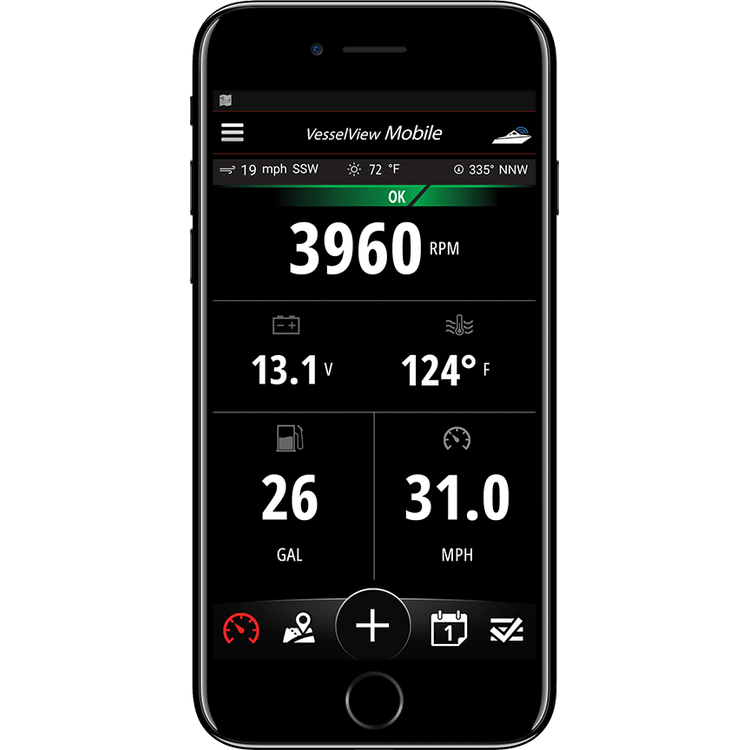 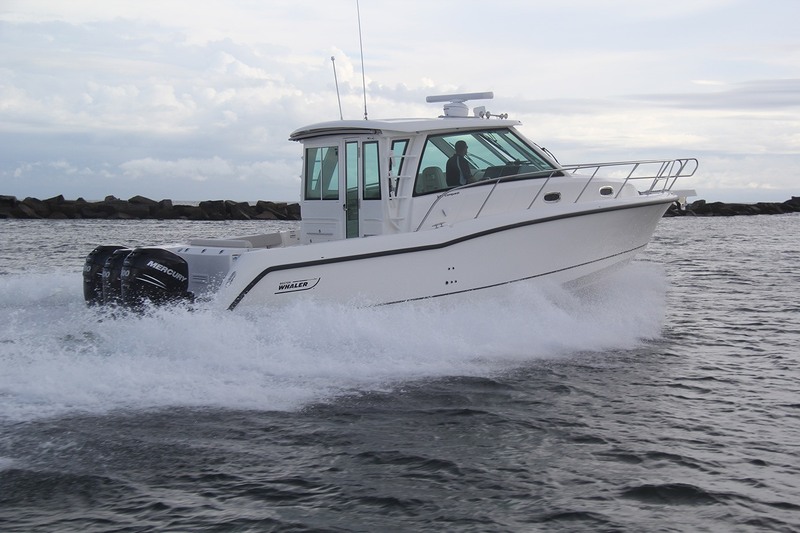 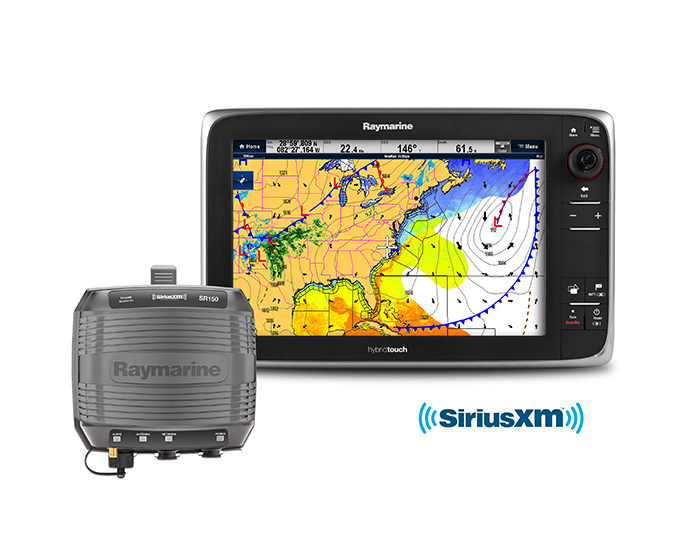 Take offshore fishing and cruising to the next level with the 345 Conquest® Pilothouse. 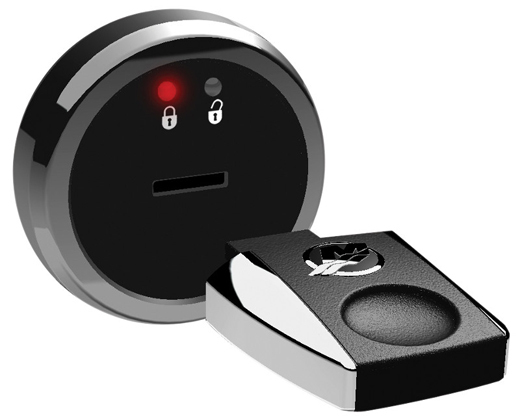 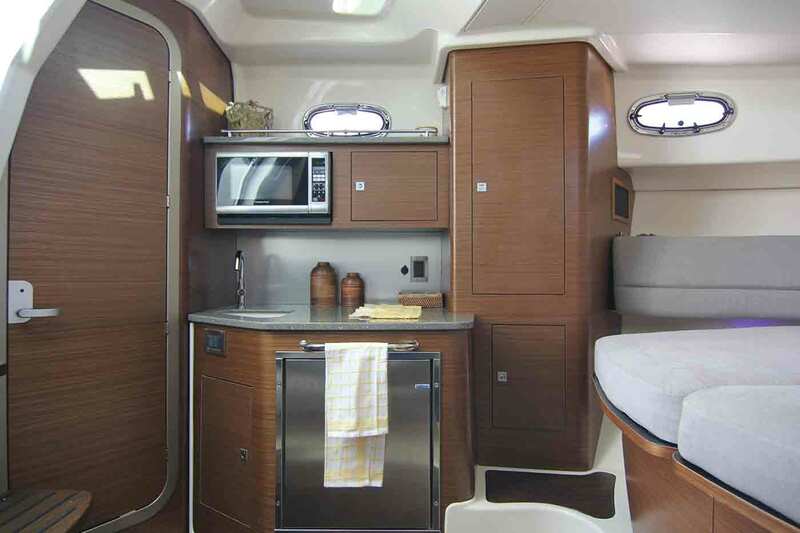 Sophistication and functionality are signatures of this innovative, all-weather champ. 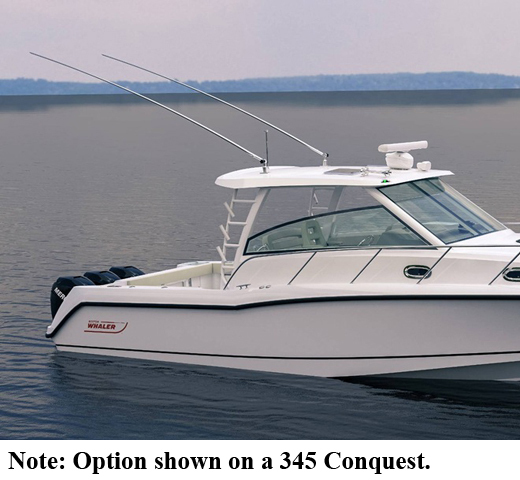 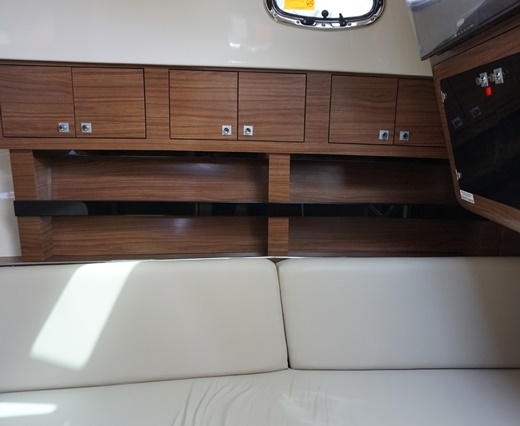 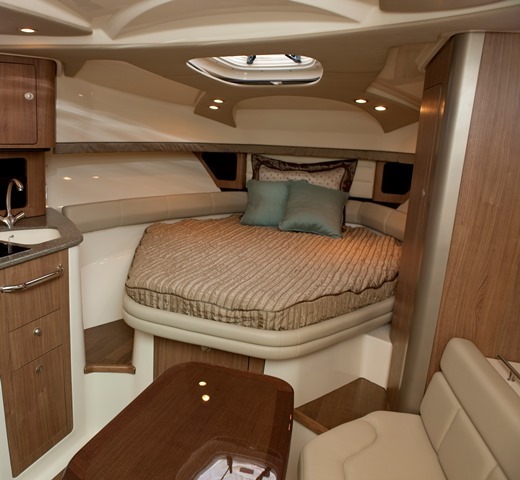 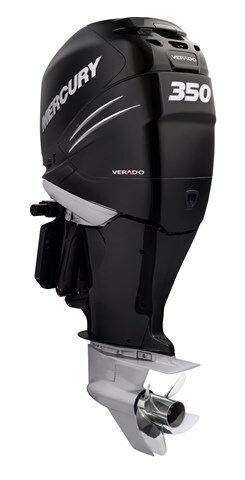 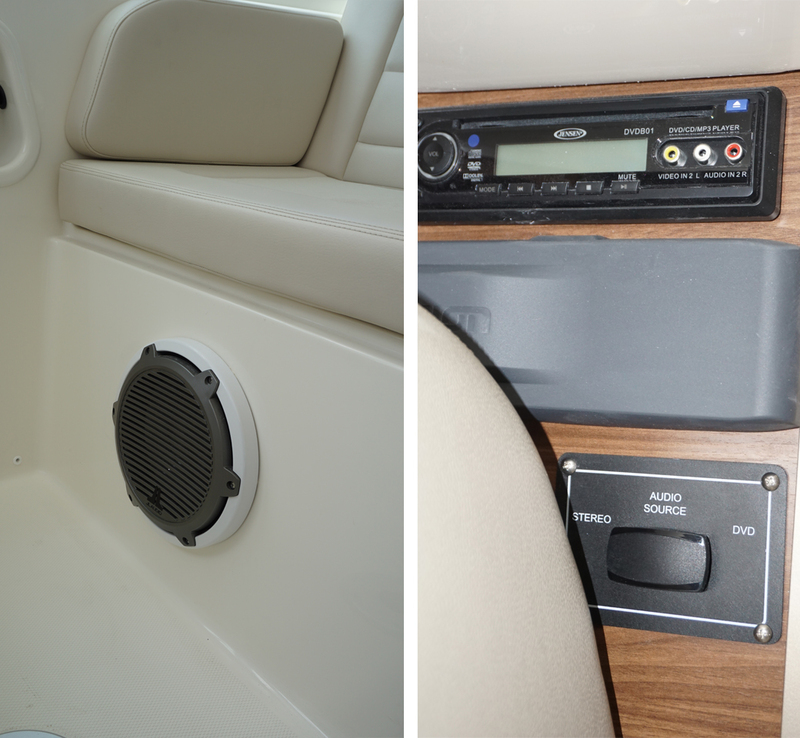 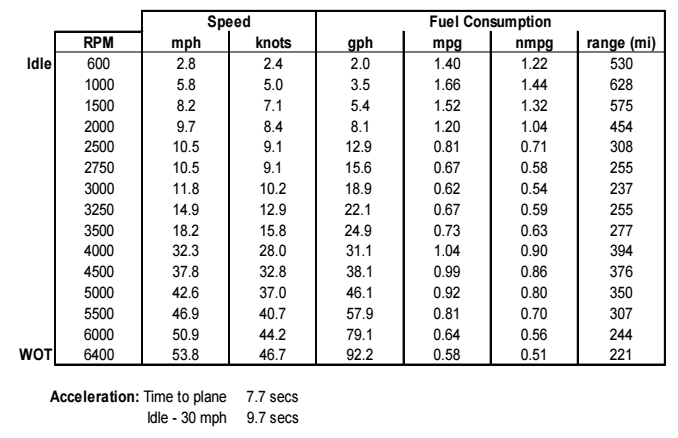 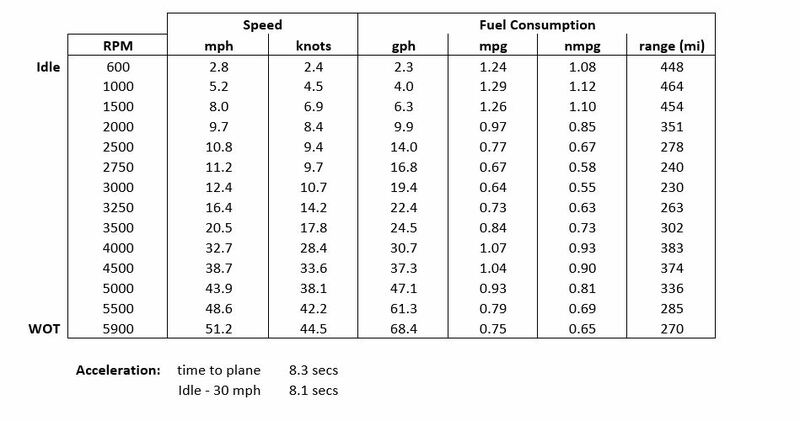 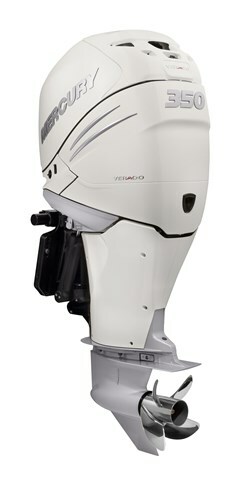 The spacious helm area boasts state-of-the-art electronics and features for comfort and efficiency. 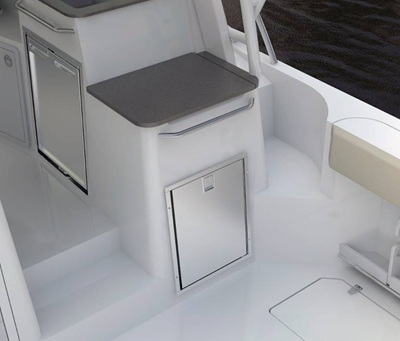 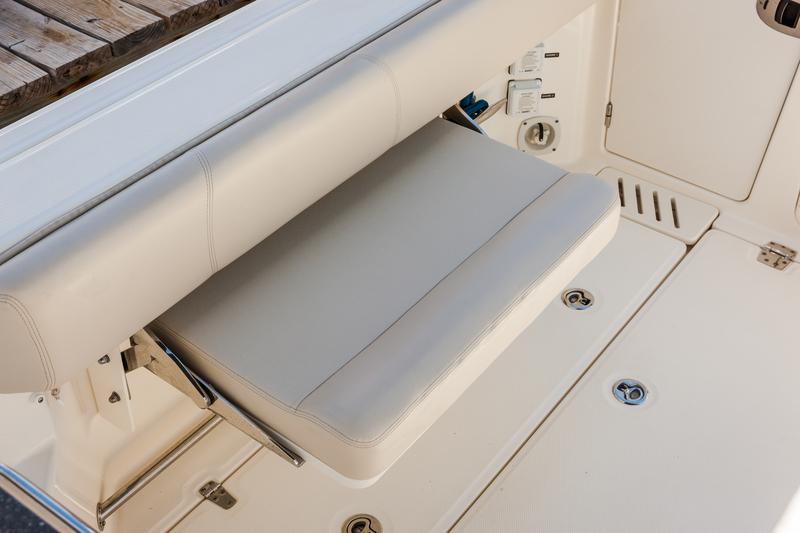 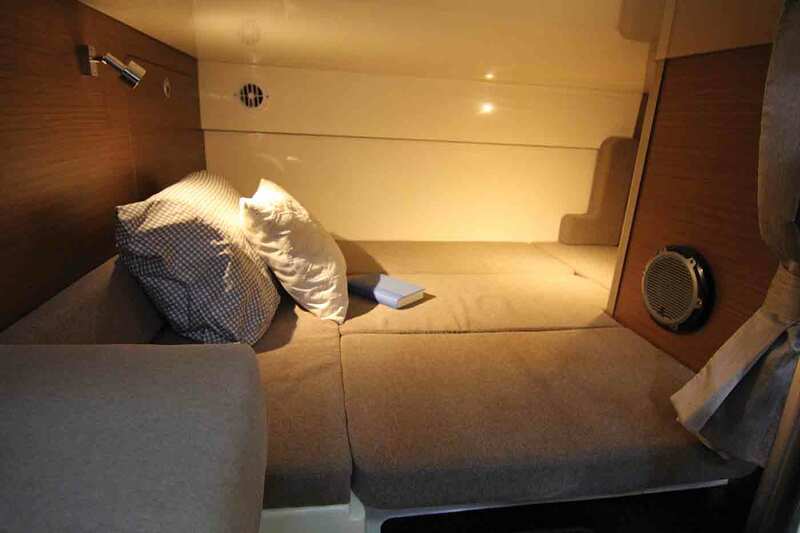 The 345’s cabin innovates with customizable storage, a sophisticated galley and head, and the award-winning Dynamic Cabin System—a forward-berth dining table that seats six adults and converts automatically into a plush queen-sized bed. 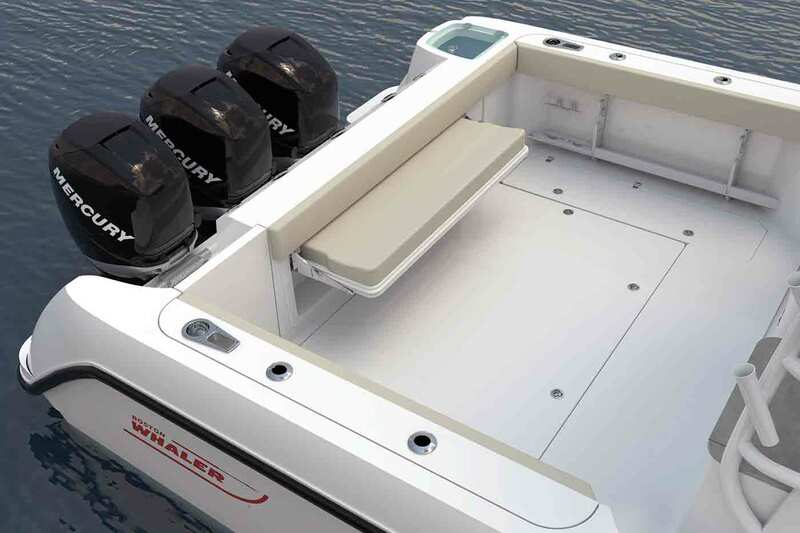 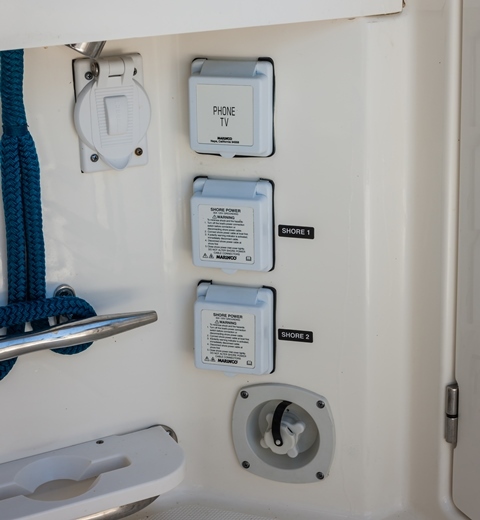 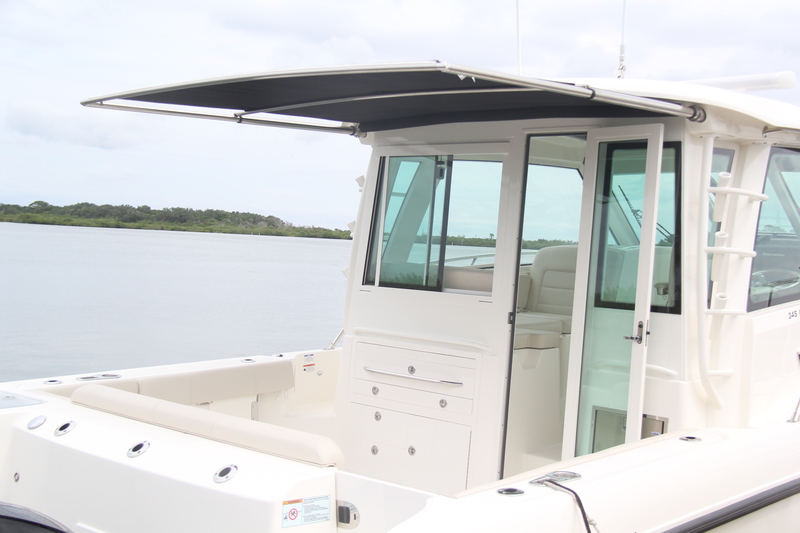 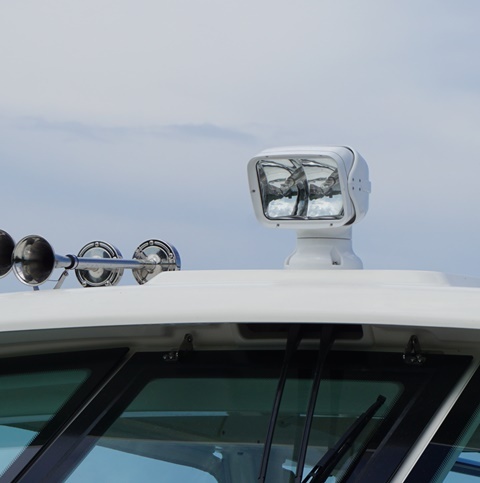 Up top, saltwater fishing amenities abound and, thanks to the Pilothouse’s enclosed windshield with aft bulkhead, you’re always protected from the elements and ready for whatever the day holds. 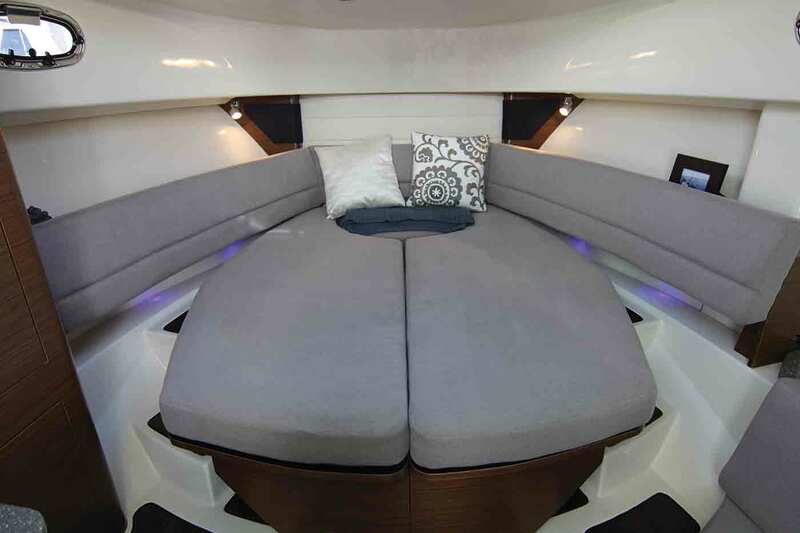 Portside companion seating includes a unique lounge for aft-facing seating. 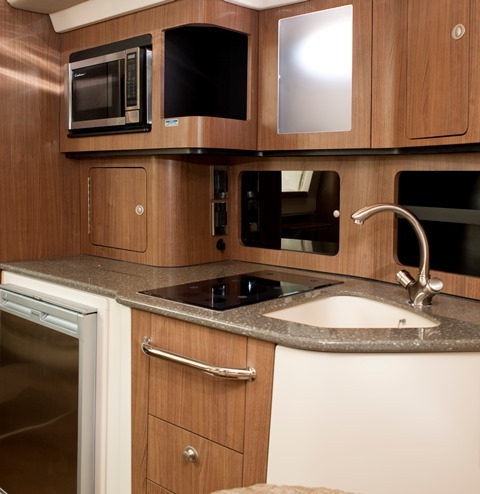 Starboard cockpit prep station with refrigerator/freezer, sink, drawer storage and more. 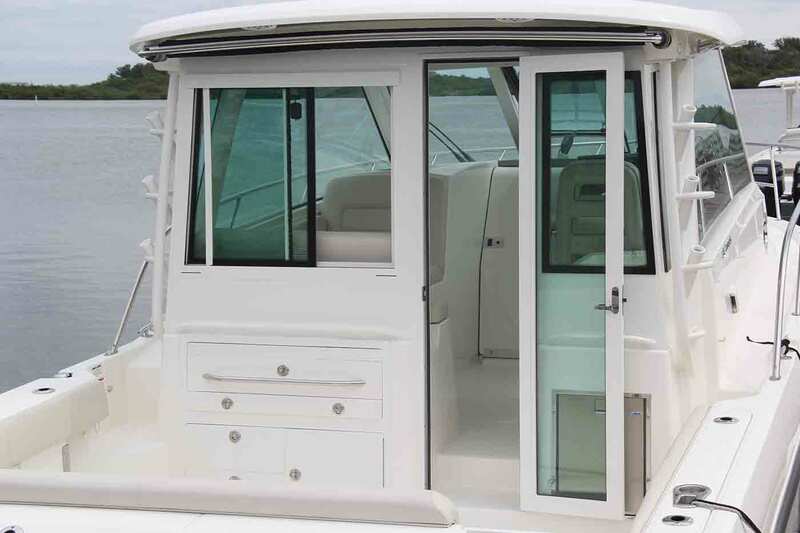 Full-enclosure windshield system offers unbeatable weather protection and maximizes natural light. 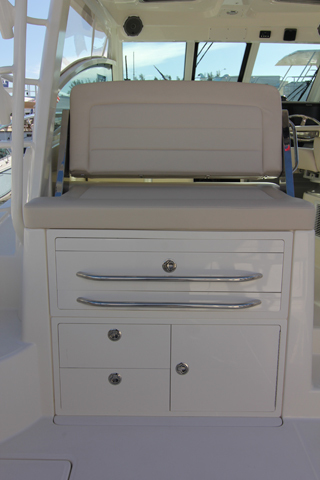 Cockpit features additional prep center with drawers, work surface and dedicated cooler storage. 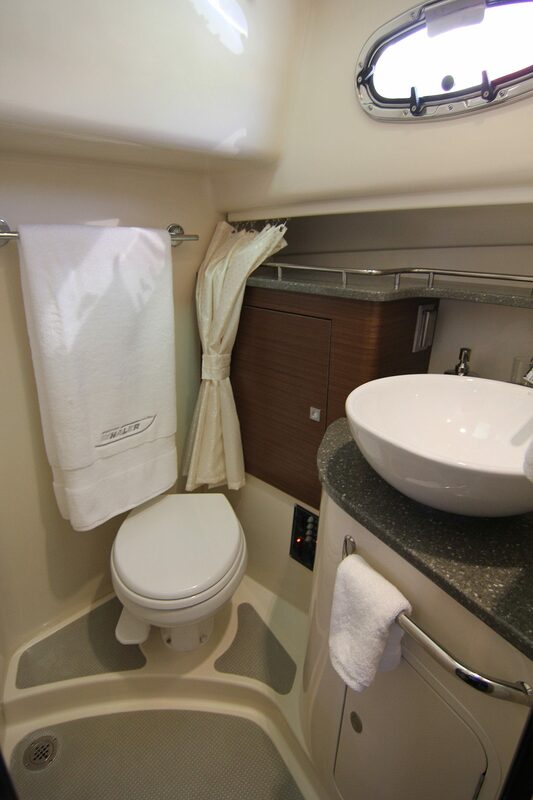 Innovative and sophisticated, with offshore confidence and comfort for the whole crew. 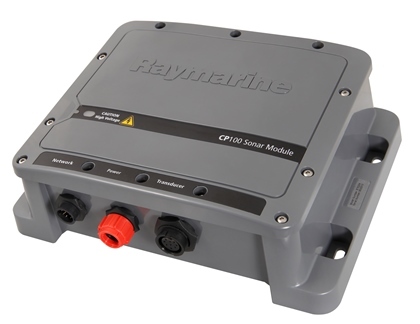 Water delivery at manufacturing plant (includes all items from commissioning kit, plus 400 gallons of fuel) Contact dealer for price. 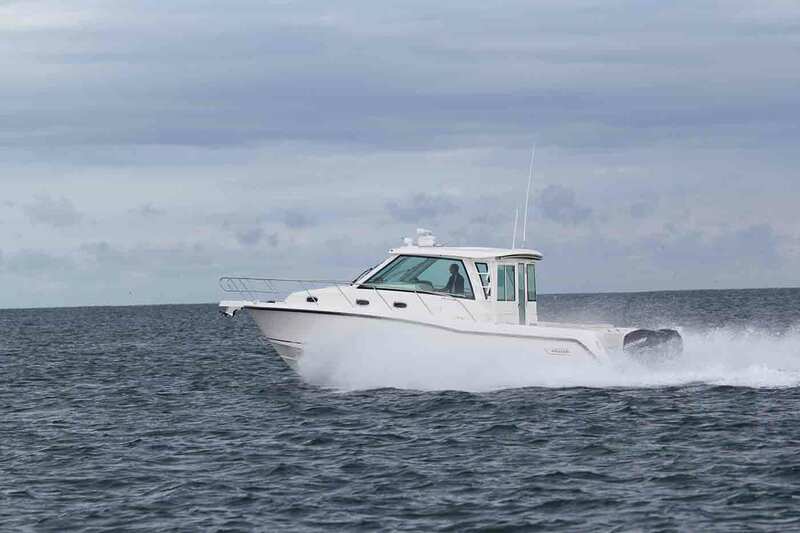 Water delivery with upper station (includes all items from commissioning kit, plus 400 gallons of fuel) Contact dealer for price.